best thing about all folding chairs is that they are super-easy to store when not in use. The Westminster also has the advantage that it looks superb and ticks all the boxes comfort wise. A slightly angled back with curved lumber-support included and a plentiful and slightly contoured seat make it really comfortable to sit on even without a cushion. individual joints areas are hand cut using mortice and tenon joints which are then reinforced using teak dowels ensuring a robust end product of the highest quality that will last for years. 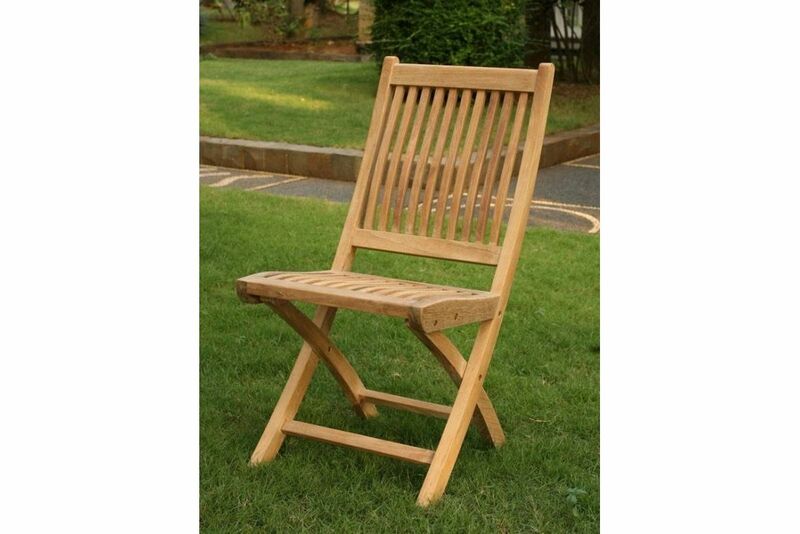 As a timber there is nothing more superior that teak for use outdoors. Its dense grain and high natural oil content make it supremely workable and very unlikely to crack or split along the grain.